Being asked to authenticate an artefact is like being given a mystery to solve. You have to piece together lots of different clues from the way it is made, where it comes from, what has been written about it and how it has been used to work out whether it is what it claims to be. The process can be thrilling and frustrating in turn, but also addictive! 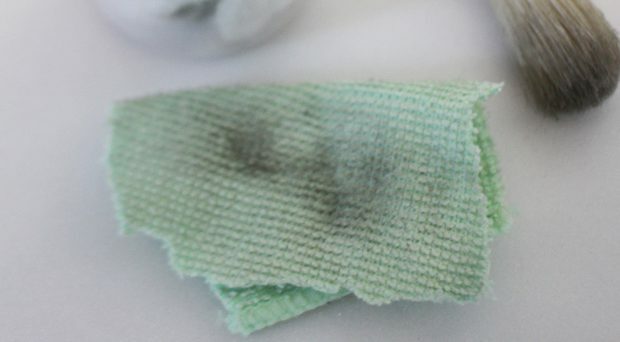 It may come as a surprise that conservators are crucial in authenticating objects – but this is because they understand how objects are made and used and are skilled in examining them to find this out. If authentication was a murder mystery, conservators would be the forensics team. 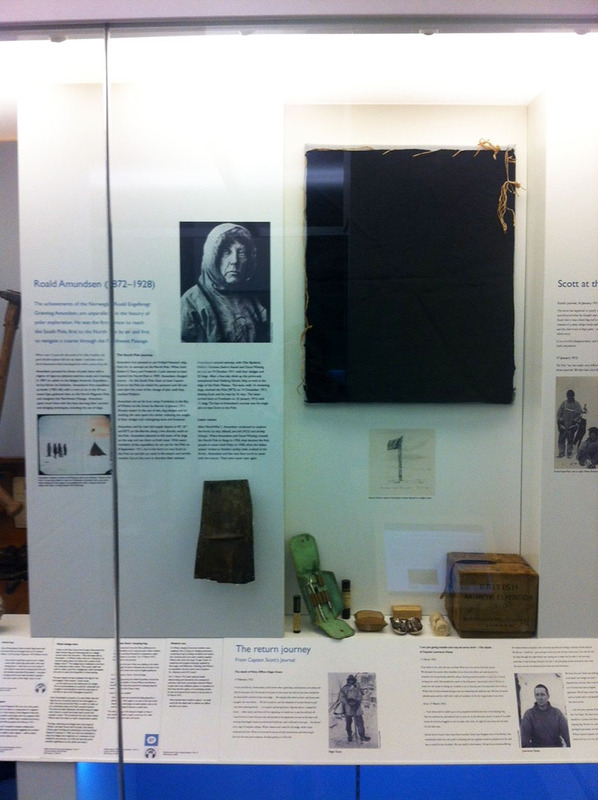 So when the Polar Museum was asked to solve “the Wilson sledge runner mystery”, it was the conservator who took it on. But the story goes that this fragment was actually found near the South Pole by Captain Robert Scott and his men on 18th January 1912. 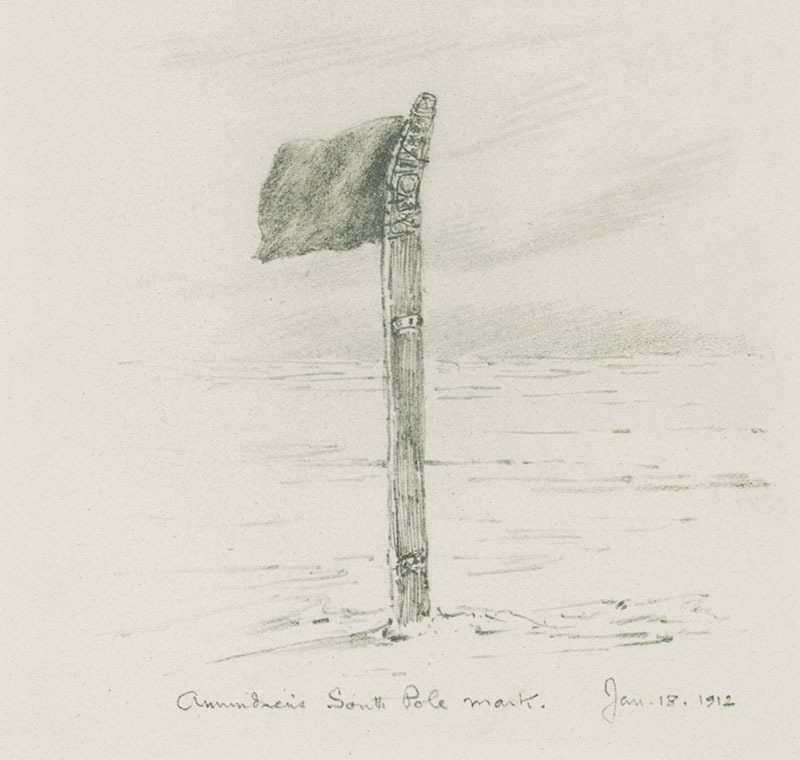 Scott had already been beaten to the Pole by the Norwegian Roald Amundsen, who had been there a month before, but the English did not realise this until the dramatic moment shortly before reaching the Pole itself when they saw a black flag flying from a sledge runner stuck into the snow, which had been put there by the Norwegians. Edward Wilson, artist and doctor as well as Scott’s closest friend on the expedition, collected the flag after drawing a picture of it. According to Wilson’s diary, he kept the flag itself, a note from the Norwegians which was tied to it, and also a piece of the sledge runner. The story then goes on to tell how the fragment was allegedly found with the bodies of Scott and his party, and given to Wilson’s widow, Oriana. From her it was passed to her great friend Evelyn Ferrar in her will, and was then brought to the Polar Museum by Evelyn’s son Nick Forbes. Nick Forbes asked the Polar Museum to examine the sledge runner to see if this story could be “proved”. Apart from Scott and Wilson’s diary entries which describe the finding of the flag and sledge runner, the whole story was only preserved in Nick’s family as an oral tradition. Proving something like this beyond all doubt would probably be impossible but it should be possible to tell how likely the story was. When the fragment was examined in detail it quickly became apparent that it was part of a Norwegian sledge runner from the early twentieth century. 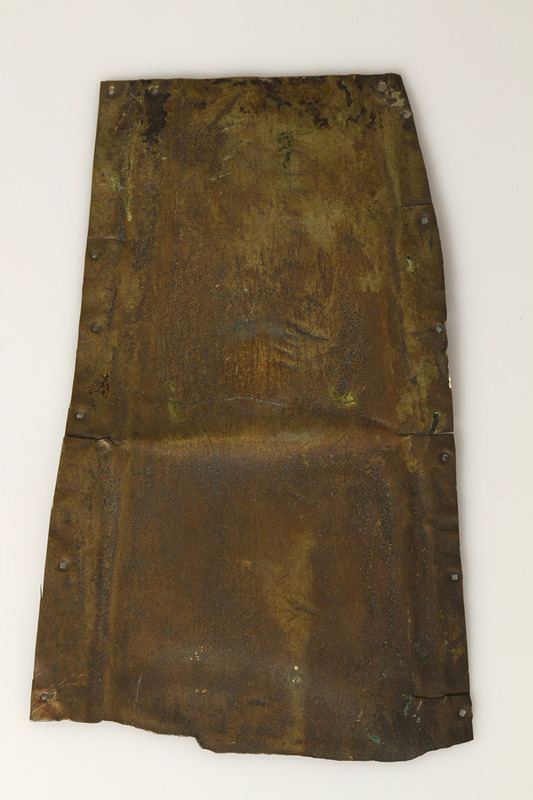 The object is a tapering piece of metal, which originally would have been wrapped around a wooden sledge runner to protect the wood when travelling across sharp ice. The tapering shape shows that it came from the end of the runner where it curves upwards, and it has numerous nail holes along the edges where it was attached to the wood. The nail holes are square with rounded impressions from the nail heads, showing that the nails are the same type used in other Norwegian sledges from the early 20th Century (which we could see from other examples in the Polar Museum collection). The metal itself is a copper, zinc and nickel alloy called German silver, which was shown by analysing the chemical composition using X-ray fluorescence spectroscopy at the Hamilton Kerr Institute (and many thanks to conservator Dr Lucy Wrapson for her help with this). German silver was only used for cladding sledge runners for a short period in the early 20th Century. It was popular for a while as a rust-free and inexpensive alternative to iron cladding, but it was also weak and sometimes broke down at inconvenient moments, so quickly fell out of favour again. At first glance this all looked very encouraging. Clearly the fragment had all the right features to be from a Norwegian sledge in the early part of the 20th century. Amundsen was a Norwegian and would have planted the flag on the sledge runner in 1911. Case closed? Unfortunately it was not as simple as that. Firstly, although the fragment is certainly from a Norwegian sledge from the right period, confusingly the English explorers were all using Norwegian equipment as well! Scott bought all his sledges for his expeditions in 1901-4 and 1910-13 from Oslo. This means the fragment could be just a random piece from another of Scott’s journeys. 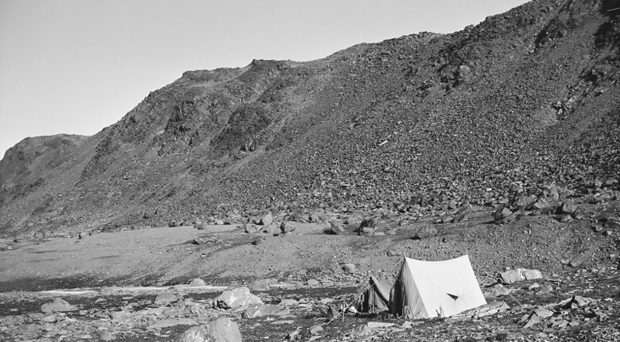 Nick Forbes’ family has been close to the heart of British Polar exploration for generations. His father Max was curator at the Polar Museum and his mother Evelyn was the daughter of Hartley Travers Ferrar, who was geologist on Scott’s first expedition in 1901-4 – the “Discovery” expedition. This means that the story of how the fragment came to be in the family is very plausible, but also means there is a risk it has been confused with a similar “Heroic Age” fragment which is not the one collected by Wilson. At this stage it was time to look at archive material to shed more light on the problem. 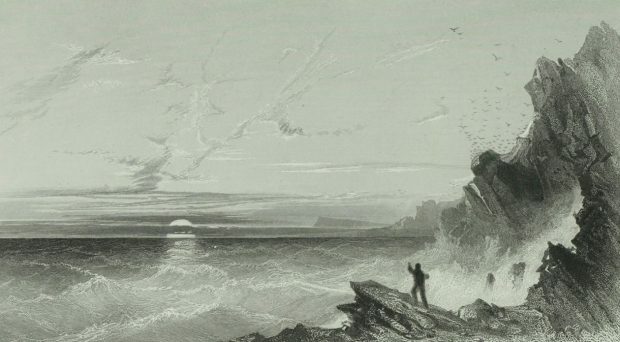 The Scott Polar Research Institute (where the Polar Museum is based) also has a fantastic archive which holds a wealth of diaries, letters and other material related to Scott’s journeys. 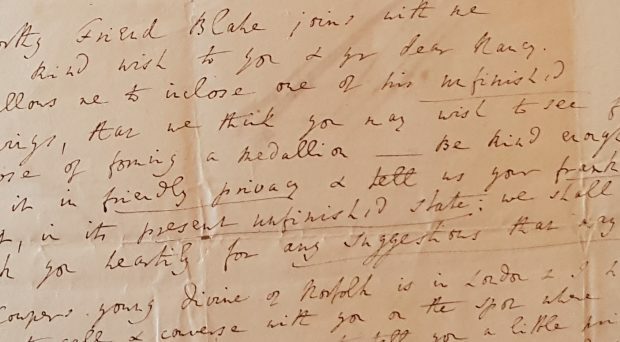 Many hours were spent looking for information about the sledge runner fragment, both in accounts of finding Scott and his companions in 1912, in letters and even in Oriana’s will. All these drew a blank – apparently the fragment was not considered significant enough to mention in any of these accounts. This is not as big a problem as it might appear. 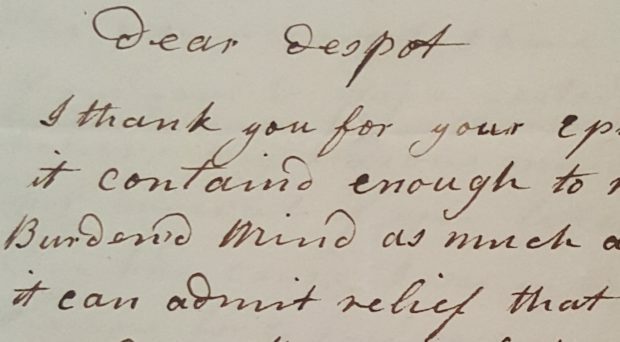 The note and flag which Wilson collected at the same time were given to the Polar Museum directly by Oriana Wilson, and neither of those was mentioned in any contemporary accounts either. But because they were a direct gift from Oriana, their provenance has never been questioned. On the other hand, there was no written proof that Wilson’s sledge runner fragment had survived anywhere. However, there was still one more vital clue contained in the fragment itself. Along both edges of the metal are parallel folds where it has been wrapped around wooden sledge runner. The distance between these folds is 10mm which shows that this was the thickness of the wood. The Polar Museum has a sledge from the Discovery expedition, where the runners are around 15mm thick. So the fragment could not have fitted on this. As extra proof, traces of nails for attaching cladding to the Discovery sledge show that they were not the same sort of nails as the ones used on the fragment. On this basis we could confidently state that the fragment was not from a Discovery sledge. Meanwhile diary evidence suggests that Scott did not use any metal cladding at all on sledges on the Terra Nova expedition, and five sledges from this expedition in the Polar Museum show that this was true. So the fragment could not have come from either of Scott’s expeditions. 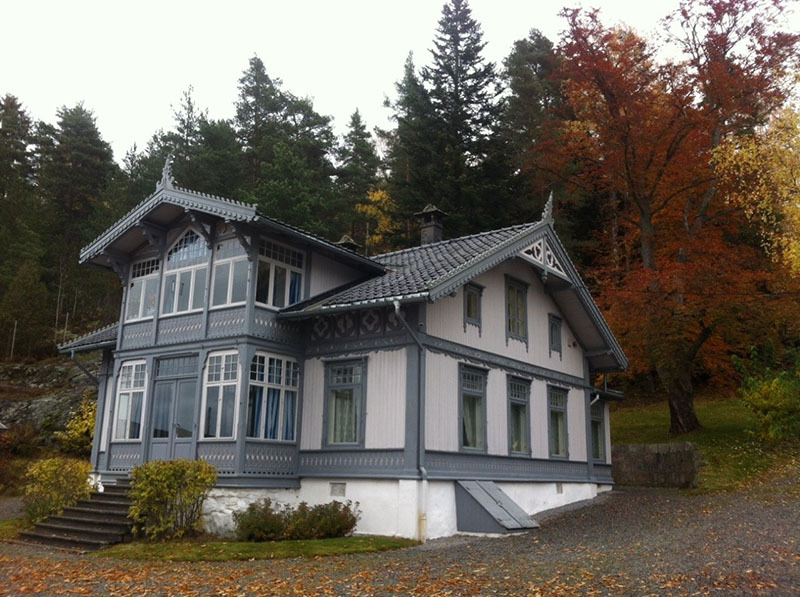 The final piece of the puzzle fell into place during a trip to Oslo for the Polar Museums Network inaugural meeting. There we were able to see Amundsen’s sledges close up and compare them with evidence from the fragment – one of the South Pole sledges is under the stairs at Amundsen’s delightful house in Uranienborg. Amundsen’s diary and his official account of his expedition show that he was obsessed with reducing the weight of all his equipment to the bare minimum. He actually ordered his sledges to be broken up, pared down as thin as possible and then rebuilt, saving many kilos in weight. The sledges which survive show that the runners were about 40% thinner than those used by the English, and were about 10mm thick. The nails used for cladding were also the same as those which were used with Nick Forbes’ fragment. So the fragment could definitely have come from an Amundsen sledge. Unfortunately, Amundsen also wrote in his account that he had used steel cladding for the runners on his sledges. Again, this looked bad for the authenticity of the fragment, which is not made of steel. But looking at the sledges in Oslo it was clear that things were not as simple as Amundsen’s account suggests – German silver was definitely available on Amundsen’s expedition and his sledges were thoroughly overhauled by craftsmen while in Antarctica. Amundsen used thin temporary under-runners covered with metal cladding to protect the wooden runners in rough conditions, and according to his own account at least one of the sledges used to go to the South Pole had to have non-ferrous metal fixings because iron plays havoc with compass readings. So despite Amundsen’s general statement about the metal cladding, in fact at least one sledge must have had German silver shoes when he went to the Pole. Amundsen described how his team broke their under-runners in half to make flag poles and skied off in different directions to plant them near the Pole – just to ensure they had definitely covered the territory. 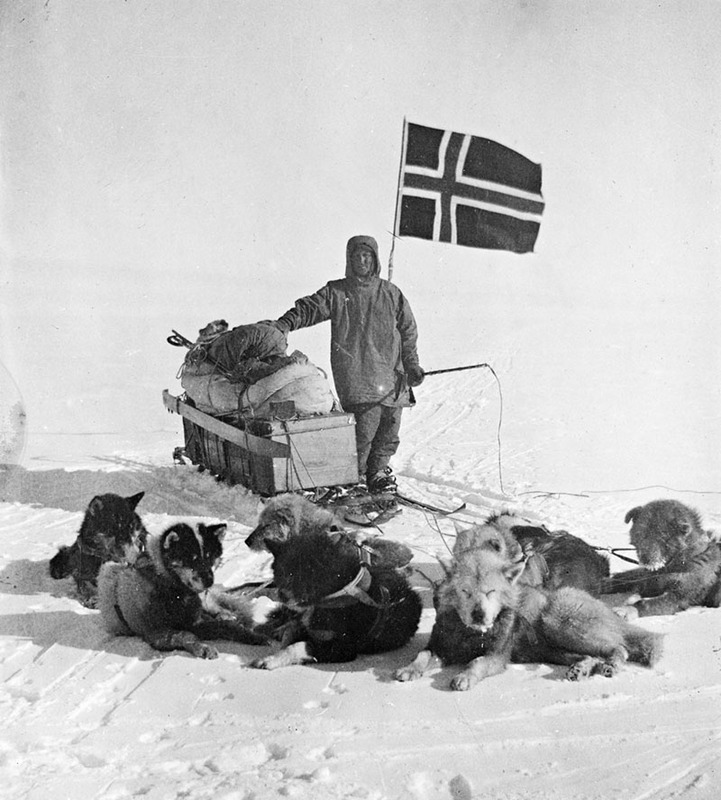 A photograph of Wisting with his sledge taken near the South Pole in 1911 and now in Nasjonalbiblioteket in Oslo shows a whole under-runner fixed to the sledge, the same type as was later used to make the flag poles. The final piece of evidence comes from the flag which Wilson also collected that day in 1912, and which is on display in the Polar Museum. It is a plain black depot flag with string roughly looped through the side to tie it to a pole. The string is looped and cut in such a way that one can deduce the width of the pole it was tied to – at least at the top end. 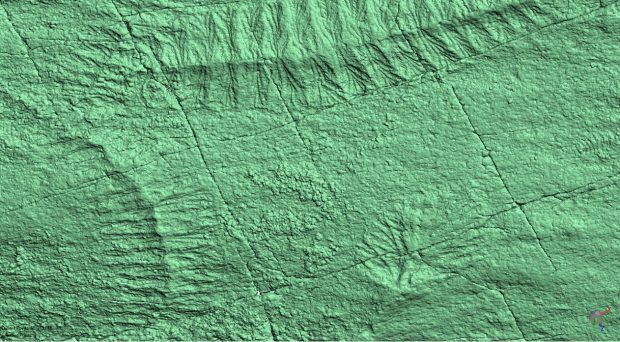 Meanwhile, measurements from the runner fragment itself also show the size of the original sledge runner. When the two are compared it is clear that the flag could have been tied to the sledge runner. The weight of all the evidence does strongly indicate that the story about this metal fragment is true, and eminently plausible. It came from a sledge under-runner which was planted by the Norwegians as a flag pole near the South Pole and was collected by Wilson on the day when the hopes of Scott’s Polar Party were dashed. 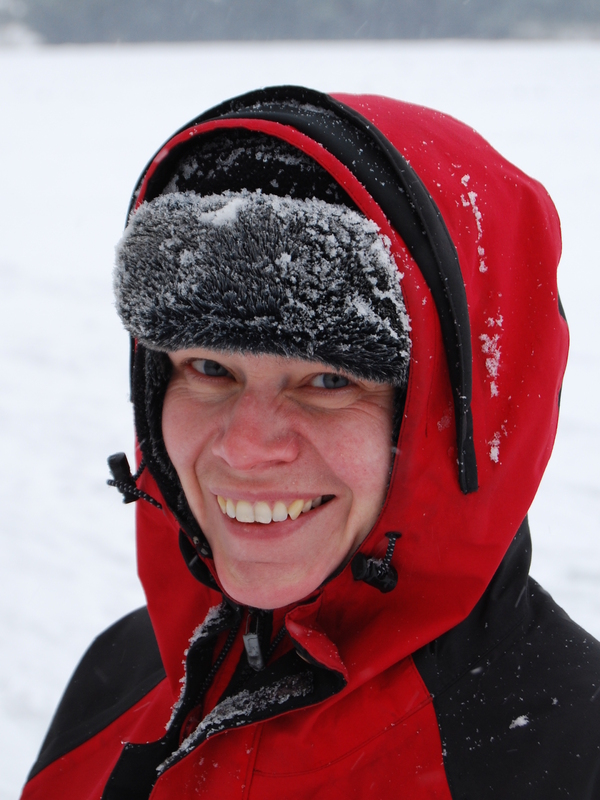 Piecing together the clues to authenticate an artefact is one of the most enjoyable jobs a conservator can do – and in this case the conservator has unintentionally also become a sledge runner nerd! The full story of the authentication has been written up and is now published in Polar Record. It will be made available free of charge through the University Repository Green Access scheme early in 2018. In the meantime the metal fragment has been kindly loaned to the Polar Museum by Nick Forbes and is on permanent display there with the flag and note which were found at the same time.